Vietnam’s exports to many Southeast Asian countries like Malaysia, Singapore, Thailand, the Philippines, and Cambodia have grown strongly recently and are predicted to continue the upward trend in 2018. A free press is the key test of whether a nation has true freedom of speech. Across the region, every country is failing the test. WITH PROGRESS made in rail projects in Laos and Thailand, China has advanced its dream of a trans-Asian railway network to link Southeast Asia. Boutique international investment group Mayfair 101 has invested $1 million in Malaysia-based SportsFix, a live streaming sports platform for the ASEAN region. LAOS AND VIETNAM are pushing for key cooperation projects agreed to by their leaders to be accelerated, with their intergovernmental cooperation committee scheduled to meet next month. 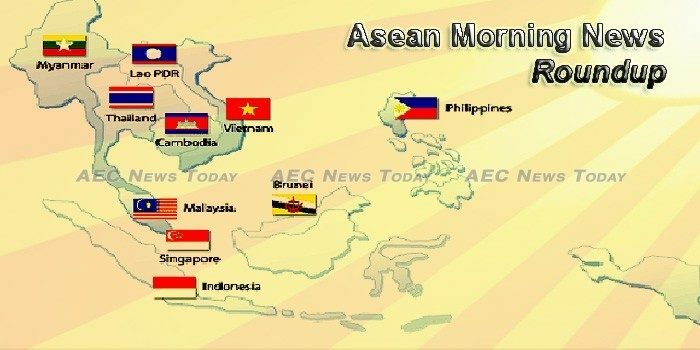 As the celebration for last year’s 50th anniversary of the Association of Southeast Asian Nations (ASEAN) wanes, ASEAN now face the tasks to realise the ambitious vision of an integrated socio-cultural, economic and political community. As New Delhi continues to push for better connectivity with Southeast Asia through the northeast under its Act East Policy, Thailand’s Ambassador to India Chutintorn Gongsakdi has said that “soft connectivity” is the key to India-ASEAN ties. The Association of Southeast Asian Nations (Asean) has become an important international actor, with a reputation that matters globally. South-east Asian governments are poised to introduce taxes on ecommerce sales as they look to claim their fiscal take from one of their most vibrant engines of growth. For years, the principal narrative has been a world attempting to keep China’s maritime ambitions in check in the South China Sea. With one-third of the world’s global trade carried upon these sea lines– estimated at roughly 5 trillion USD annually– it is an understandable concern. But there is another conflict brewing in the region that might become an even more volatile flashpoint in the coming decades. Green groups have spoken out against global banks that turn a blind eye to planet-polluting industries. Recently, an Iranian oil tanker exploded and sank after hitting a Chinese ship in the East China Sea. “In the world, there was no leader who suffered more pain and bitterness than me,” a dewy-eyed Hun Sen, the long-serving prime minister of Cambodia, says in a new TV documentary Marching Towards National Salvation. What was billed as a Cabinet reshuffle turned out to be little more than a riffle, but in replacing his chief of staff with a retired military commander Indonesian President Joko Widodo is clearly inserting some starch into the ranks ahead of legislative and presidential elections in 2019. The Energy and Mineral Resources Ministry plans to offer 40 conventional and three unconventional oil and gas blocks through a tender in early March, including 32 blocks that failed to attract investors in 2015-2017 auctions. Industry Minister Airlangga Hartarto stated that Indonesia is one of the major players in railway manufacture in Southeast Asia. Some 210 markers have been installed along the border between Laos and Thailand, covering most of the two countries’ 735km land border. Minister of Transport Arkhom Termpittayapaisith has officiated the launching ceremony for the construction of the Thailand-Laos-China logistic center at its construction site near the 4th Thai-Lao Friendship bridge in Wiang sub-district in Chiang Kong district of Chiang Rai. Malaysia’s timber exports for 2017 is likely to surpass RM23 billion as global demand remain stable. Malaysian palm oil prices are expected to trade at RM2,500-RM2,700 a tonne due to falling production from March onwards, and as stock levels decline from now until July, said leading vegetable oils analyst Dorab Mistry on Saturday. Strong export performances last year contributed significantly towards strengthening Malaysia’s labour market, analysts believe. Following the appointment of a new Anti-Corruption Commission in November, attention is turning to the need for legal reform to ensure the commission’s independence and protect whistleblowers. IMPLEMENTATION of the Dawei special economic zone (SEZ) has been suspended for years, but Myanmar and Thailand are still eager to revive the mega project, according to an official in Myanmar. Thousands of Buddhist monks gathered in Myanmar’s second largest city on Sunday for an event partly organized by a scandal-hit Thai temple whose abbot is wanted for questioning on money-laundering allegations. The Philippines said Sunday that it won’t get embroiled in a fresh spat between the U.S. and China involving Beijing’s protest of an American warship passing near a Chinese-controlled shoal also claimed by the Philippines. The government is demanding a full refund of P3.5 billion for the controversial anti-dengue vaccine Dengvaxia as well as payment for damages from pharmaceutical firm Sanofi Pasteur. President Rodrigo Duterte is considering a total ban on Filipinos working in Kuwait because of the increasing number of sexual abuse cases. Business operators, exporters, investors and even tourists are bracing themselves for the impact from the currency’s surge. The Ministry of Finance is offering a tax incentive to encourage manufacturers to set up nurseries at working places as a basic welfare for employees and workers. The government has vowed to continue its effort to solve the problem of intellectual properties infringement in Thailand, says the government spokesman. The Ministry of Industry (MoIT) will continue to support local steel enterprises this year in their production and business, especially use of trade defence measures protecting the domestic steel industry. Vietnam is dramatically accelerating sales of stakes in state-owned companies to boost revenue and ease a strained budget, while seeking to exceed its economic growth target this year.